Here are eight common exercises you’ve definitely heard of before—and for good reason. They’re all classic moves that are great for building strength., muscle, endurance, and stamina. But what happens when you want to graduate from beginner to intermediate and push yourself even further? 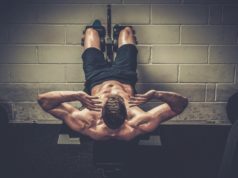 You don’t need an expensive trainer or fancy gym to dial up the intensity on these tried and true exercises—by adding small tweaks to these common movements, you can transform them into so much more. Incorporating these variations can improve your stability, get you stronger, help build more muscle, increase the overall metabolic demands on your body, and can even push you past your frustrating plateaus. Brush the dust off your basic routine and add these small variations. You can create a whole new workout program based on one you’ve already been doing. But those small tweaks will lead to some colossal results. The setup for this move is slightly different from your conventional trap bar deadlift. Start by assuming a narrow stance with your feet, then step one foot back slightly and drive the ball of the foot/ big toe into the ground as you keep a majority of your weight on the front foot. Grab the bar, brace your trunk and then lift. Do several reps on each side. In comparison to a conventional trap bar deadlift, this move will help promote single-leg strength and lower-body joint stability. The set up for this move is exactly the same as it would for a chest-supported row. The main difference is that you will keep your arms/elbows drawn back as you sustain a static hold, letting one dumbbell down at a time. Keep the elbows drawn back to create more time under tension to help build more muscle and strength with your pull movements. 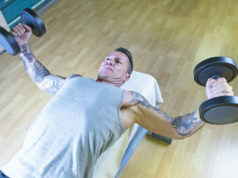 The primary difference between this and your normal dumbbell chest press is that you’re using one dumbbell instead of two. Set yourself up as you would your conventional dumbbell press, keeping your shoulders packed and trunk braced. Place your arms at about a 45-degree angle as it would be in a pushup and most chest presses. Keep control of the weight at all times, and that will dictate your tempo. The benefits of this variation are you’re building more stability in shoulders and more trunk stability from resisting the rotation of the body while pressing. The set up for this movement starts by grabbing the bar double width from what you’re accustomed to. Pull yourself towards one arm, allowing it to bend as you go up, while the opposite arm will remain straight. Push down into the bar with the straight arm to assist with the pullup. This move will help build your lats and biceps, as well as prepping your body to do a single arm pullup. Adding a resistance band will amplify the intensity of your regular plank, depending on the tension of the band. The set-up for this move is to grab a resistance band from both ends and wrap it around the small of your back. Assume your plank position with your arms fully locked and the band around your hips. Keep your pelvis rounded, glutes engaged, and keep the band from pulling your lower back down. The setup for this is pretty basic. Start by getting into a prone position with your arms locked out. While maintaining a strong plank, drive one knee towards the opposite elbow and alternate legs. You can add more intensity of this move by increasing speed or duration. By adding the twisting motion to this exercise you’ll start to target the internal and external obliques. 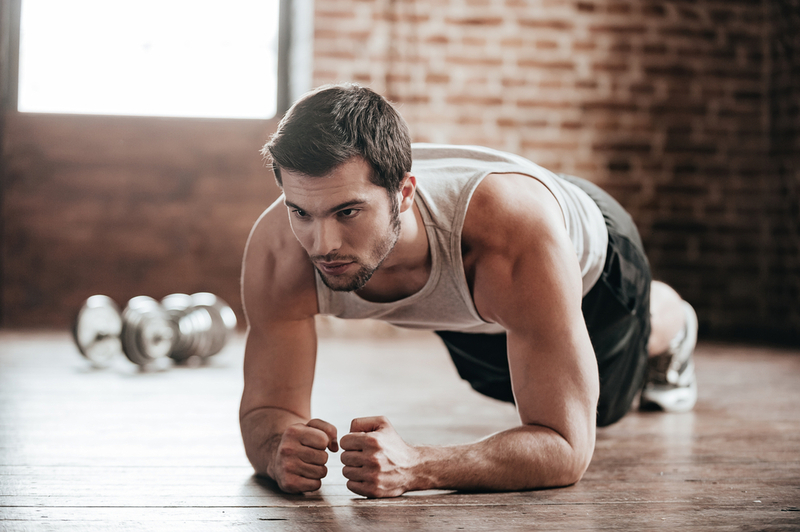 The primary difference between this and a regular pushup is the time it takes to do. Set up by getting into the starting pushup position. Descend for five seconds, hold at the bottom for five seconds(body should be inches away from the floor with only the hands/feet touching the ground) then push up as fast as you can. Make sure to keep a strong plank position all throughout the movement, keeping a straight line from head to heels. This variation gives the move intensity by being more explosive. The plyo lunge will help develop a faster twitch and type II muscle fibers in your legs. These muscle fibers are used for more powerful bursts of movement, like sprinting or jumping. Start by stepping back into your lunge position and get your back knee about two inches away from the ground. With maximum effort, drive you feet through the ground, jump as high as you can, and then land softly back into your starting position.